Key for all solar PV installations. Choosing the right panel for your install is fundamental for all projects. Whether you’re looking for a high wattage good looking module for a showcase installation, or a budget module that is great for commercial projects, we have the panel for you. With stock of the Tier one JA Solar modules, and the European made BISOL modules held in our Sidlesham Warehouse, a vast array of modules are available to us. 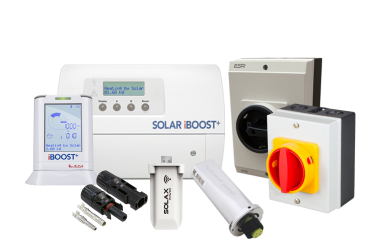 Essential for all PV Systems we stock a wide range of inverters. 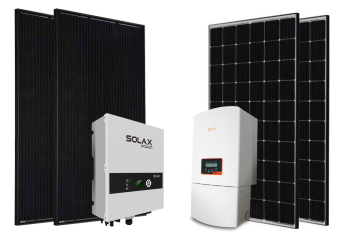 From micro inverters for just one or two panels through to large scale three phase string inverters, and the accessories need for them. 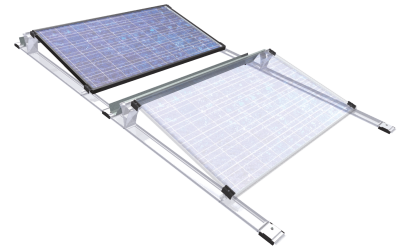 Essential for any install, the mounting system is the base for Solar PV modules. We stock the TRIC mounting system, a fully MCS certified mounting solution. The TRIC system covers almost all install types, with the TRIC A for on roof mounting, TRIC F for flat roofs, and TRIC Flex for ground mounting options. We also hold stock of the IRFTS Easy Roof Evolution in-roof mounting system. Brilliant for producing a good looking domestic system, set into the roof, in place of roof tiles, this universal in-roof mounting solution is fully fire rated and MCS certified. We have everything you need to complete an install. From cable and connectors, to wi-fi and monitoring add-ons, even pest control and solar panel cleaning kits. Our one-stop shop philosophy allows us to provide a full complete system to our customers. If you need it we will either have it or can get it! Working with a range of manufacturers and suppliers if there is a product you would like but cannot see on our website please get in touch and see if we can help.